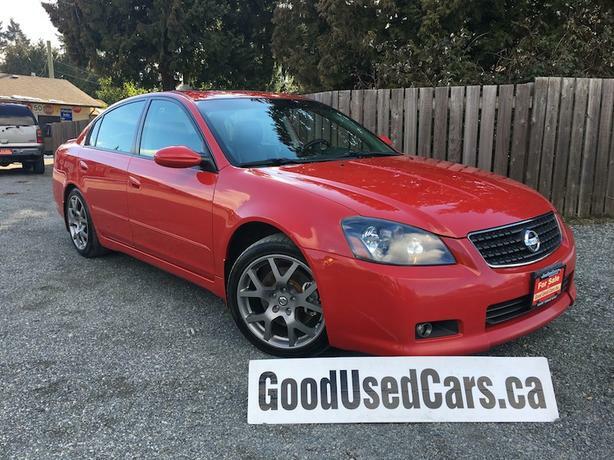 For the performance-minded buyer who wants a solid, well-proven vehicle but still needs generous passenger and cargo space for the whole family, this Altima SE-R is a modern classic worth checking out. This accident free, BC only registered Altima has incredibly low mileage for the year at only 169,000kms! You will be blown away by Altima SE R horsepower with the 3.5L V6 under the hood. The Altima SE-R's beefed-up suspension system, complete with high-compression shocks, make for superb handling and an exhilarating ride. With interior hints of the Nissan 350Z, you won't be board driving this little gem around. Great service history reported to Carfax over its life. Don't miss out on this one.